Veeam was so kind to invite me to take a look at their new product “Veeam Endpoint Backup Free”. With this new product, Veeam now offers a possibility to backup physical hosts (eg. Laptops, Desktops running Windows 7 and higher, and Servers running Server 2008 and higher), what many of us customers have desired. But they do not only close the gap to the physical world, they also offer the software for an interesting price: for free! 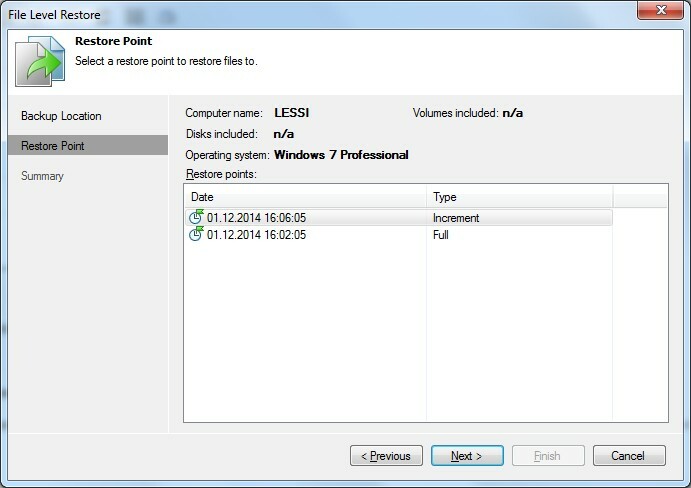 So what can you expect from “Veeam Endpoint Backup”? 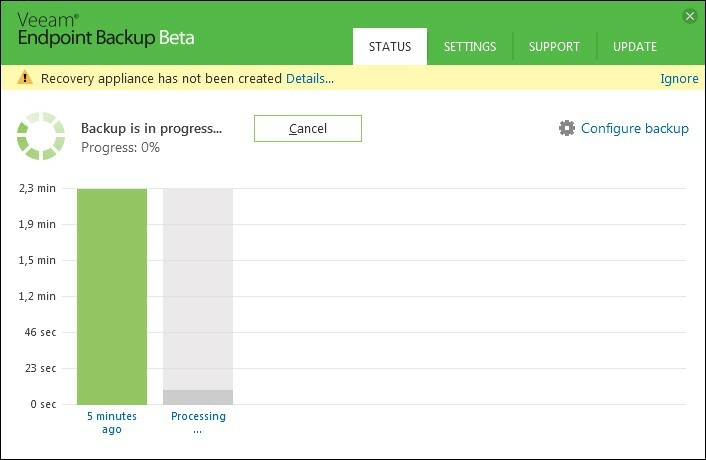 When you run the first backup, Veeam Endpoint Backup will perform a full backup which will take relatively much time. The following backups are incremental forever. 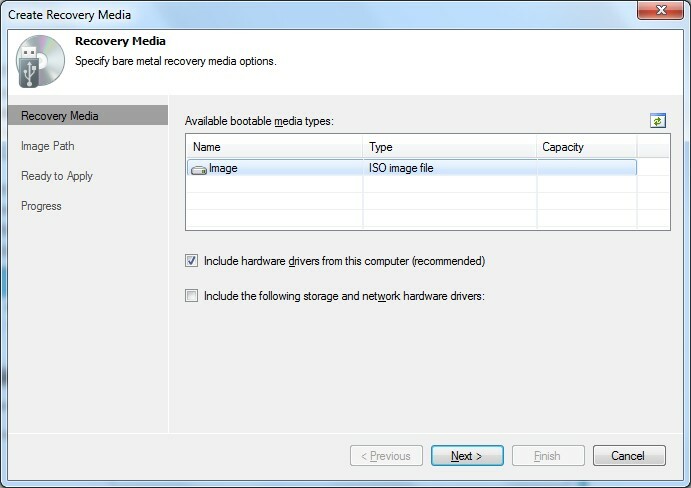 This means, only new or changed data relatively to the last backup cycle will be saved. The incremental backups will need less time than the full backup and need only little space (depending on how much has changed since the last backup). The product supports a backup retention policy, too. You can define how many restore points are available – and the software will take care that you can go back in time for the defined number of backup cycles. But now lets take a look at the installation – hands on! Veeam Endpoint Backup uses Microsoft SQL Server 2012 Express LocalDB Edition to store its configuration data. The LocalDB is executed as a sub-process launched by the Veeam Endpoint Service and only takes little resources of the host system. Select a restore point and start the restore! Done! 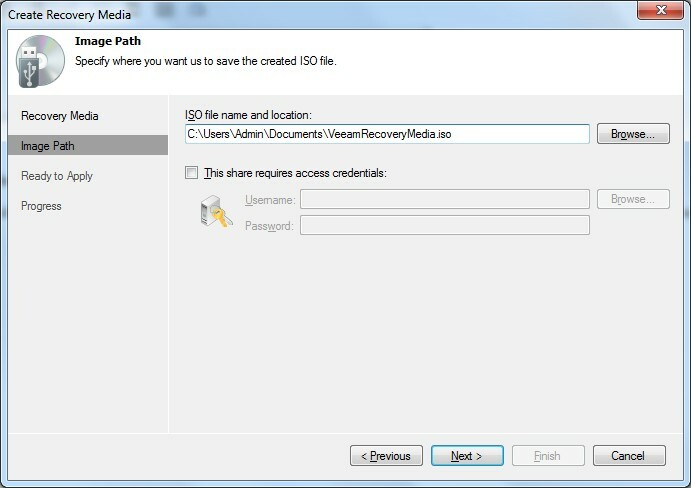 Two more clicks and the ISO Image will be prepared and saved to the choosen path. In the Veeam Endpoint Backup Beta User Guide there was a notice, that in the BETA version the integration with Veeam Backup & Replication is disabled. But this feature will be available in the GA version of the product. With Veeam Endpoint Backup, Veeam offers a really easy-to-use but powerfull backup and restore tool for physical devices. Offering the product for free is great for customers and will raise awareness of the brand “VEEAM” to the consumer market, too as this product is also useable for the “private sector”. For my part I will recommend this tool eg. friends and relatives who are computer-literate and often have problems to keep an eye on their backups.